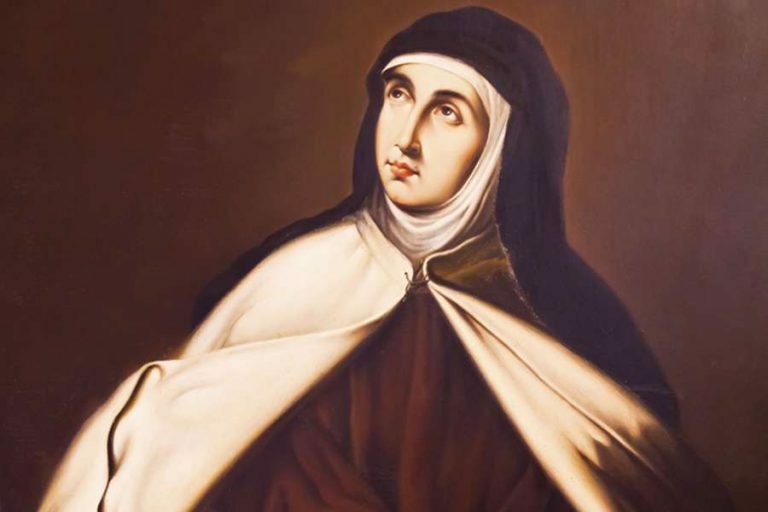 Saint Teresa of Avila, one of the Doctors of the Church has a meditation titled “Come away by yourselves” which speaks of the joy and fulfilment of being a servant of love, a servant of the Lord. St Teresa states that becoming a servant of love means nothing more than following the “path of prayer”, but she acknowledges that there are worldly distractions that can disrupt our journey on this path – something that is still true to this day. The blessing she refers to is “the perfect attainment of this true love of God”. However, is it easy to avoid becoming attached to earthly things? In many cases, it is not and the materialism that St Teresa is speaking about here rings true in today’s society. We live in a world that is becoming increasingly materialistic with huge advances in technology, many of us are addicted to our mobile phones. E-books mean we can now read novels from our iPad screens and music is ready to download at any time of the day. Clothes are produced faster and more cheaply than ever before, and the boom of internet shopping has made fashion so easily accessible, especially in the West. St Teresa states “I see so clearly that there is nothing on earth with which one can buy so wonderful a blessing”, referring again to the attainment of God’s love. How do we refrain from being caught up in materialistic want? Novelist Chuck Palahniuk states “Advertising has us chasing cars and clothes” and in many ways this is true. The seduction of advertising is undeniable and the reach is global. It is no crime to enjoy the latest gadgets and clothing trends. Perhaps St Teresa did not mean it as literally as not becoming attached to any earthly thing. Perhaps she was warning that earthly things must not be seen as idols. Is it simply a case of finding a balance between spending money of things we enjoy and reminding ourselves of the greater glory of God?